Associated with the living traditions of folk tale, drama and epic, the Jatakas recount the development of the Bodhisatta the being destined to become the present Buddha in his final life not just through the events of one lifetime but of hundreds. Written in Pali, the language of the Theravada Buddhist canon, the Jatakas comprise one of the largest and oldest collections of stories in the world dating from the fifth century to the third century. 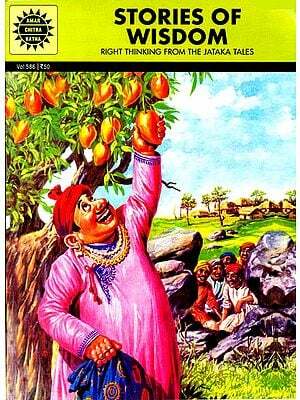 Generations in South and South East Asia have grown up with these tales. This volume contains 26 stories drawn from various ancient sources, and each story reflects one of the ten perfections-giving, restraint, renunciation, wisdom, strength, acceptance, truthfulness, resolve, loving kindness and equanimity. A detailed introduction elaborates on the ten perfections, explains the forms of enlightenment as well as the structure, and the historical and geographical contexts of the stories. Sarah Shaw brings to life the teachings of Buddhism for the scholar and lay reader alike. Sarah Shaw was educated at Manchester University, where she read Greed and English. She did her doctorate in English Literature there and went on to the study of Pali and Sanskrit in Oxford. She has written a book about meditation in the Pali Canon, which is being published as part of a series in connection with the Oxford Centre for Buddhist Studies. She is a teacher and writer and is married with three children. A Buddhist from some years, she practises with the Samatha Association in Britain. The text I have used is the Pali Text Society (PTS) transliteration into Roman script compiled by Fausboll in the nineteenth century which he based initially on three Sinhalese manuscripts. As work progressed, Burmese manuscripts became available to him. In his 1877 preface, he freely admits he is not happy with the result or his differentiation between commentary and story, which, as we see in the Introduction, is not an easy matter. The very fact we have such a good text, though, is a tribute to a great scholar who was clearly facing all kinds of difficulties, ranging from manuscripts being lost in the post to lack of funds to find other manuscripts dotted around the globe! For this translation I have usually just followed his guidelines, for the most part taking what he puts in large type as story and, following his implicit guidance as to what is story and what later commentary, leaving out the sections he denotes through small type. The exception to this has been in translating 'the story from the present'. This is in small type in his edition but there is no evidence that it is later than 'the story from the past' in the form that we have it now. For variant readings I have also used his denotation at the bottom of the page: B and a letter for the appropriate Burmese manuscript and C for the Sinhalese. While the whole area needs thorough reappraisal, if possible in the light of all available manuscripts, we do at least have a workable text. There is also now a Burmese version of the text, available for free distribution, along with the entire Pali canon, on CD Rom. This sometimes simplifies and avoids a potentially authentic difficult reading but is very useful where the Pali is obscure in the PTS version. Many scholars now use this as their working text. It is surprising that there has been no complete translation of the 547 tales since the late nineteenth-century edition of six volumes was undertaken under the general editorship of E.B. Cowell. So a word of praise should go to this often maligned but heroic endeavour, now over a hundred years old. The style, particularly that of the verses, which were then ambitiously placed in rhyme, is replete with the 'leagues', 'eftsoons' and 'forsooths' that characterized Victorian storytelling. Our taste for archaisms has gone but the very existence of translations for all the Jatakas is a testament to the enthusiasm of scholarship at that time. I do not suppose any university or funding body would support such a project now. The stories are easily obtainable from the Pali Text Society in Oxford. More recent translations of selections of specific Jatakas are difficult to obtain. H.T. Francis and E.J. Thomas translated 114 in 1916 in an edition that is almost impossible to find, though it includes helpful notes on counterparts to the stories in other cultures. I have not translated the last, Vessantara, because the job has been done well so recently. 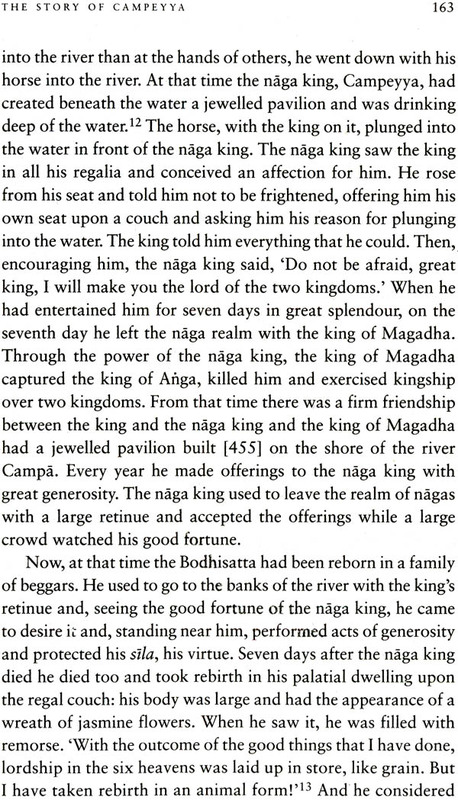 For anyone who would like a modern translation of Jataka 547, Margaret Cone's is an admirable example. Its introduction, by Richard Gombrish, is also the best short essay available on the background to all the Jatakas. In my Introduction which follows, I have included the number of the relevant story in parentheses when referring to a specific Jataka. A Jataka is a story about a birth, and this collection of tales is about the repeated births-and deaths-of the Bodhisatta, the being destined to become the present Buddha in his final life. Written in Pali, the language of the Theravada Buddhist canon, the tales comprise one of the largest and oldest collections of stories in the world. the earliest sections, the verses, are considered amongst the very earliest part of the Pali tradition and date from the fifth century BCE; the later parts were incorporated during the period up to the third century CE. Partly because they arose at a time when literature was transmitted orally and partly because storytelling tends to extemporize, the stories were shaped and developed over this period before the final version became settled. The 547 stories all evolve from one vow: the determination made postpone his own enlightenment and freedom from the endless round of existences until he is ready to become a Buddha himself and teach others. This undertaking, recorded in the Jatakanidana, a lengthy introduction to the Jataka stories that is regarded as a separate work, sets him apart from other beings. In the many aeons when there is no Buddha to teach to world-for according to early Buddhism such teachers occur only rarely in human history-the Bodhisatta tries to build the strengths, resources and experience ready for his final birth. These endeavours form the basis of the Jataka stories and confer the unusual abilities that make him in his last life not just an arahat, an awakened one, but a Buddha, capable of leaving a teaching behind for others. In the time of the Buddha and for the period in which his teaching (sasana) lasts, others may follow the path that he has left for them. The idea that birth occurs again and again, widespread through most of the traditions of the Indian subcontinent, does not only provide us with a theme of profound religious and philosophical implications, it also gives an unusually flexible means of linking narratives of many different kinds. Although associated with other Indian traditions of folk tale, drama and epic, Jatakas are unique: they are the only collection of stories in the world in which the development of one central character is tested not just through the events of the one lifetime but of hundreds. Through his vow the Bodhisatta is able to experience many different types of rebirth: as animals (such as monkey, fish, elephant, horse and mouse), tree-spirit and serpent king (naga): and when in human form, as many different classes, including untouchable, merchant, cook, archer, forester, warrior, musician, Brahmin, minister and king. Sometimes he is a god. According to later commentarial traditions, that soon become incorporated into the Jatakas themselves, he fulfils in these lifetimes all ten perfections (parami) of generosity (dana), virtue or restraint (sila), renunciation (nekkhamma), wisdom (panna), effort (viriya), forbearance (khanti), truthfulness (sacca), resolve (adhitthana), loving kindness (metta) and equanimity (upekkha). These qualities enable him not only to find a path to enlightenment but to teach others too. In most South-East Asian countries, the last ten lifetimes are treated as particularly significant and are associated with are treated as particularly significant and are associated with the completion of each one of the perfections in turn. The popular Buddhism that is embedded in Jatakas still lies at the heart of the living tradition. Countless people in Buddhist countries such as Myanmar (Burma), Thailand, Sri Lanka, Vietnam and Cambodia have grown up with these tales as a main source of teaching, anecdote and imaginative background. Traditionally, children were introduced to their religion through hearing the stories in temples, from monks visiting their house or at festivals, though there is no evidence in the stories themselves that the very young were ever regarded as a specific audience. The artistic creativity inspired by Jatakas in temple art is an impressive testament to the central place these stories held in often non-literate Buddhist settings they are depicted in early stone relief and paintings at Ajanta, Bharhut and Sanchi in India, at Polonnoruwa and Anuradhapura in Sri Lanka, and later, in temples throughout South-East Asian countries as Buddhism spread. 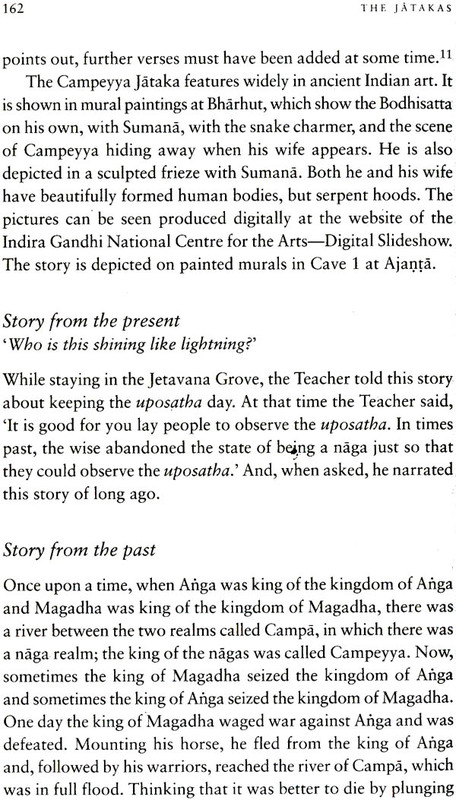 Some portrayals, such as in Bharhut and caves 9 and 10 at Ajanta, date from the first or second century BCE. In the fifth century the Chinese pilgrim Fa-Hien saw Jataka illustrations in Gandhara and a large procession of figures from all the Jatakas in Abhayagiri in Sri Lanka. The stories are shown from the medieval period onwards in paintings around Kandy, Sri Lanka. In Thai temples vast murals focus on incidents from the last ten stories. More recent depictions that surround newer temples in South-East Asian countries have been painted with the brilliant colours and techniques of modern folk art, but the stories depicted are those that are still popular after centuries. 'The story of the hare in the moon' (316), for instance, which featured at the ancient sites of Bharhut and Nagarjunakonda in India, is still found painted everywhere. On a different note, the continued accessibility of the stories can be seen in their depiction in cartoon books throughout the East, popular amongst non-Buddhists too. The Indian Pancharatna comic Jataka series, for instance, shows that Jataka style, with its succession of dramatic events and encounters between eloquent animals is perfectly suited to the medium Drama, song, dance and puppetry throughout South-East Asia have all been influenced by Jatakas. In rural areas of Myanmar, the Vessantara story is constantly recited and enacted where the Buddha's own life story is almost unknown. The influence of the stories extended out from the temple into the political and public sphere. The nineteenth-century Burmese king, Mindon, urged his ministers to behave like their counterparts in the Jatakas; the order of the time list Jatakas felt to be particularly useful. In Laos much of the legal system was established on principles laid down in Jatakas, which are also used as precedent in courts of law. It is, however, as a repository of funny incident, drama and adventure that Jatakas show their peculiar charm and emotional appeal. Buddhism teaches a doctrine of anatta, or not-self, but the narrator's aham, or 'I', of the stories is the Boddhisatta himself, the being defined by his commitment to develop enlightenment for the sake of others. His omnipresent search for the truth unifies what would otherwise be a very disparate collection of exempla, fables, anecdotes, romances, dramatic interchanges and heroic dramas. From the very short tales which begin the collection, often involving animals in the manner of Aesopic tales (37, 75, 128 and 316), to sustained narratives of immense complexity, which have affinities with other literary traditions such as epic, drama and even the novel (538-539 and 540), we find the resourceful, alert and ever watchful presence of the Bodhisatta. His actions are, sometimes, all too human-even when an animal-and he is even, very rarely, shown with some faults in the character he adopts for each tale (128 and 539). His behaviour is, however, largely exemplary and an embodiment of heroic elements suitable for one learning to teach a way to others. Some of the early ones, which show the Boddhisatta saving other animals through his courage or skill, are often funny and irreverent. By the time we get to the longer stories a more sustained exploration of the struggle for liberation, accompanied by extensive debate and the use of dramatic interchange to test the Bodhisatta's motive, produces a genre that is a kind of Buddhist epic in its own right. The intricacies. Of plot, character, discourse and poetry that distinguish these long tales place some of them amongst the great works of world literature. While no internal chronological sequence is suggested, the character of the aspirant Buddha grows in stature and complexity as part of the preparations for the enlightenment. The stories that make up the last ten (mahanipata) of the 547, from which the last three in this collection show (538, 539 and 540), are epic journeys for him, as, tested through challenge, temptation and debate, he hones and purifies the attributes he needs to teach in his final life. But in the middle of this diversity, the themes of not-self (anatta) and impermanence (anicca) are unobtrusively knitted into the very structure of the collection as a whole. Though the Bodhisatta features in all the tales, either as watcher or protagonist, his identity, like that of the other characters, is constantly dissolved at the end of each lifetime with his death. He moves from one set of conditions to another, recognizable primarily by the wisdom and integrity emgendered by the Bodhisatta vow. His role in a story is only fully understood at the end of the tale with the aham eva (indeed that was I), the acknowledgement on the part of the Buddha that completes all of the tales. Jatakas embody Buddhism applied through events: at the beginning of each story the Bodhisatta is again reborn, searching once more for the qualities that distinguish him from other beings.